LINPAC has announced it launching a range of rigid recycles polyethylene terepthalate (rPET) solutions to complement the current LINPAC portfolio of expanded polystyrene (EPS) Hotpacs, catering trays, plates, and bowls. 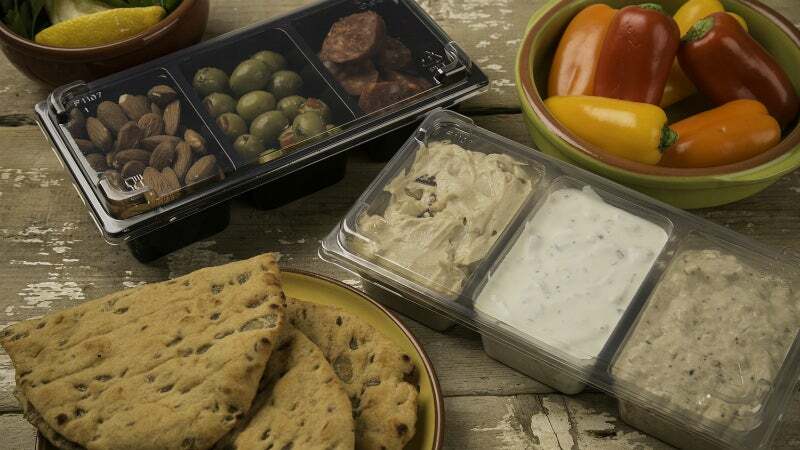 The new range will allow customers to purchase a variety of food service packaging options from a single supplier. The complete offering now comprises hinged-lid and film lidded rigid rPET solutions for prepared fresh food such as sandwiches, salads, sushi, and bakery products. The launch includes LINPAC solutions New Leaf®, Pyramid Packs, Bol, and event platters. All products will be available to order from stock. Throughout 2017, LINPAC plans to add exciting innovative new formats and designs to meet the demands of the food service market. Market development manager at LINPAC Mark Durston commented: "Perfect for our loyal distributors, and their customers in the hotel, restaurant, and catering industries, the new LINPAC range can be hand or machine packed at its on-sale location. "Designed to deliver flexibility, with the ease of ordering from one supplier, LINPAC has an extremely comprehensive offer." A key advantage of the range in today’s food service market is that each lightweight, crystal-clear solution is manufactured using high levels of post-consumer recyclate, which has been super-cleaned in-house by LINPAC to ensure compliance with all food safety regulations. The launch demonstrates the company’s commitment to creating a closed-loop recycling process and allows food service customers to contribute to a circular economy by utilising sustainable fresh food packaging solutions. Mr Durston continued: "We’re pleased to deliver our innovative, functional and sustainable LINPAC solutions to the food service market. We look forward to introducing exciting new additions later this year."